Image: Leading pianist Michael McHale will use his Major Individual Artist award to record orchestral album, "The Irish Piano Concerto" with the RTE National Symphony Orchestra. A pianist, fiddle player and an experimental computer artist have all been presented with Major Individual Awards from the Arts Council of Northern Ireland, the highest honour bestowed by the development agency. The Awards, worth £15,000 each, were presented to Michael McHale, Cathal Hayden and Glenn Marshall, in recognition of the contribution each of the artists has made to creative life in Northern Ireland. The three join a distinguished list of artists who have previously benefited from the award, including writers, Carlo Gébler, Damian Gorman, Patricia Craig, Sinéad Morrissey, Glenn Patterson and Owen McCafferty, leading contemporary visual artists, Rita Duffy, Susan MacWilliam and Cara Murphy, and celebrated composer Elaine Agnew. The grants make it possible for artists to take time out to dedicate to their creative work and to produce a substantial and ambitious project that will make a significant contribution to the development of their careers. Belfast-born Michael McHale has established himself as one of the leading Irish pianists of his generation. Since completing his studies at Cambridge and the Royal Academy of Music he has developed a busy international career as a solo recitalist, concerto soloist and chamber musician. 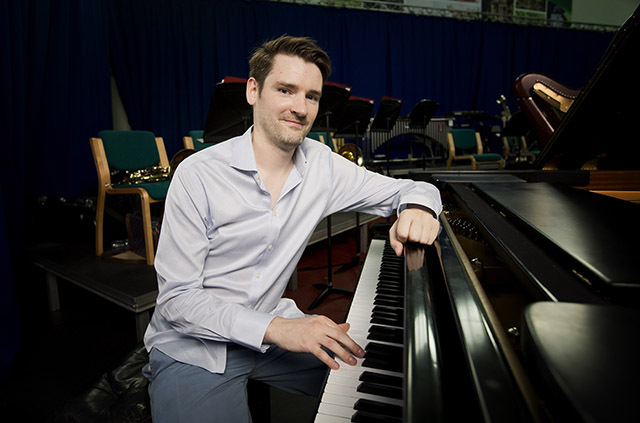 Michael’s project, funded through his Arts Council Major Individual Award, centres on the recording of a début orchestral album, "The Irish Piano Concerto" with the RTÉ National Symphony Orchestra, featuring music by Philip Hammond, John Field and Hamilton Harty, to be recorded in sessions at the National Concert Hall, Dublin in September 2015. The sessions will mark the culmination of an intense period of study and research, including one trip to New York meeting with conductor Courtney Lewis to discuss, explore and hone a joint interpretation of each of the musical scores. The project will also include a CD press launch, an educational seminar and promotional concerts. 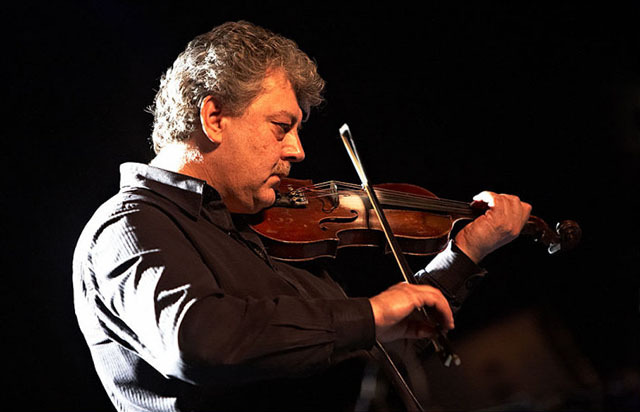 Cathal Hayden is an icon to traditional musicians in Northern Ireland, for his technical ability and international status. He has recorded, toured and collaborated with the greatest names in Irish traditional music and is a true ambassador for traditional music. Cathal’s Major Individual Award will enable him to embark on a new three stranded project, entitled A Life Times Contribution to the Arts. 3. Organise a Northern Ireland tour incorporating workshops and concert performances. Glenn Marshall is a pioneering visual artist who has spent 15 years working to develop new methods of 3d animation and experimental computer art using software programming. Glenn's animations have currently over 1 million plays on Vimeo, and a worldwide following for his unique, pioneering digital art. 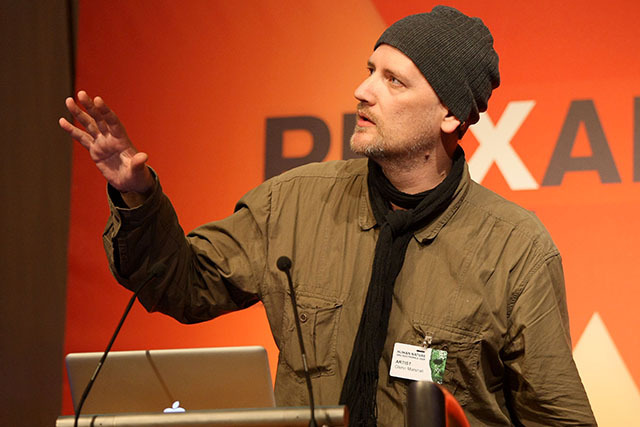 In 2008 he won the Prix Ars Electronica for a music video he created for Peter Gabriel. His work drew the attention of BAFTA winning / Oscar nominated studios Nexus (London) and Brown Bag (Dublin) with whom he then produced adverts and short films for. In 2012 he was awarded an O1 Visa by the United States - which recognises him as an international artist of outstanding achievement. His film collection has screened at dozens of festivals worldwide picking up multiple awards and honourable mentions. With funding received through the Arts Council Major Individual Award, Glenn will produce a definitive body of work which consolidates 15 years of pioneering methods with 3D animation, experimental computer art and software programming. The delivered project will be truly multi-media, multi-platform and multi-disciplined. Initial artworks will be created using 3D graphics and software coding, spinning off further into animation pieces and interactive virtual reality experiences. The project will be developed in Belfast and New York.